Pack up for a fun weekend in Carbondale, CO this fall. Why choose this mountain town for a weekend getaway? You can fill your weekend to the brim with Carbondale activities, and explore the beauty of the mountains as the flora and fauna prepare for the winter ahead. Carbondale combines the best of a small Colorado mountain town with an arts and dining scene found in a large city. This means you can go for a mountain bike ride, and then savor craft cocktails made with locally-distilled spirits. 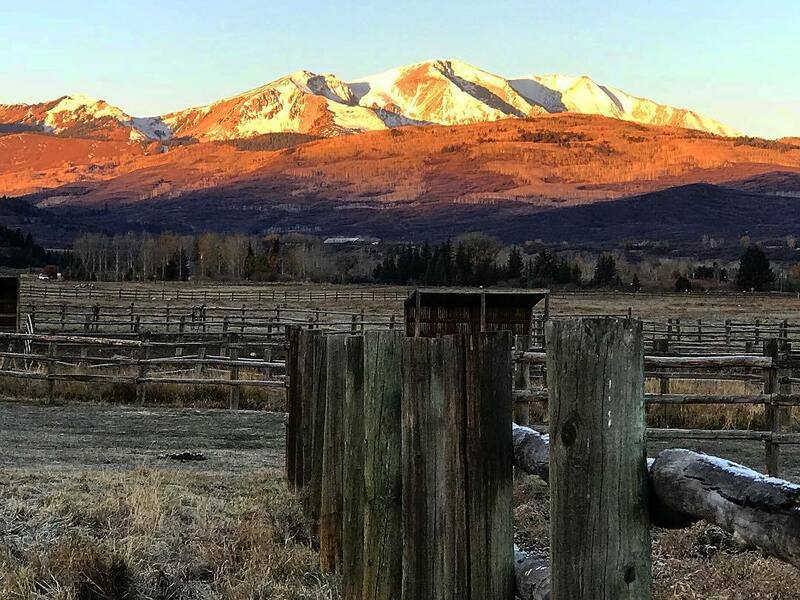 Or, you can enjoy the fall foliage on a guided horseback ride, and then check out the galleries in Carbondale, a Colorado Creative District with around 200 arts organizations, artists, and businesses. Here are some ideas for spending a fall weekend in Carbondale. Arrive in Carbondale. Check into your hotel. Go for a late afternoon mountain bike ride on The Crown Trails. After your ride, check out the current exhibition at R2 Gallery at The Launchpad featuring work by Chris Hassig and Elliot Norquist. Then, enjoy dinner at one of our many restaurants in the heart of Carbondale’s Creative District. Limber up first thing at a local Carbondale yoga studio. Get breakfast on Main Street or Highway 133. Go horseback riding with a local outfitter. Head back to your room for an afternoon siesta, or check out the relaxing outdoor reflexology path at the Peace Garden at True Nature Healing Arts. It’s free and open to the public. Later, sip craft cocktails at Marble Distilling Co. and grab dinner before catching a movie at Crystal Theatre. And if you prefer craft beer over craft cocktails, Carbondale has 2 craft breweries ― Batch at Roaring Fork Beer Company and Carbondale Beer Works. Go for a hike in the Red Hill Recreation Area. Enjoy Sunday brunch before hitting the road and heading back home. That sounds like our kind of weekend! Experience a fall weekend just like this in Carbondale. Start planning your trip. Have questions about the best way to spend fall in Carbondale? Contact the Carbondale Chamber of Commerce, or check out our blog for ideas.